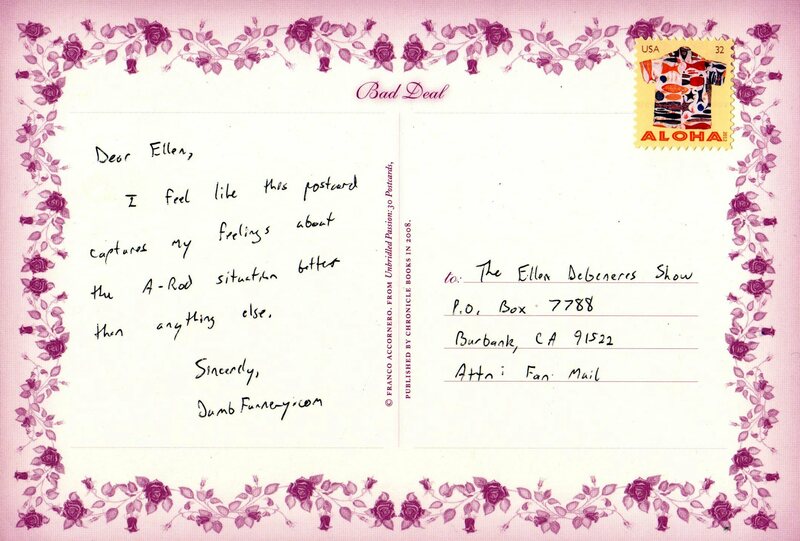 I feel like this postcard captures my feelings about the A-Rod situation better than anything else. HA! So that explains it! Huh? I’d really like to know what’s going on with this postcard. Seriously, who though this was a good idea?